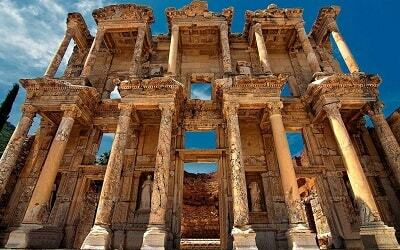 If you would like to do some fascinating sightseeing and take an exciting walk through the past of one of the most powerful empires in the history of the mankind, then our Marmaris Ephesus Tour is exactly what you need. 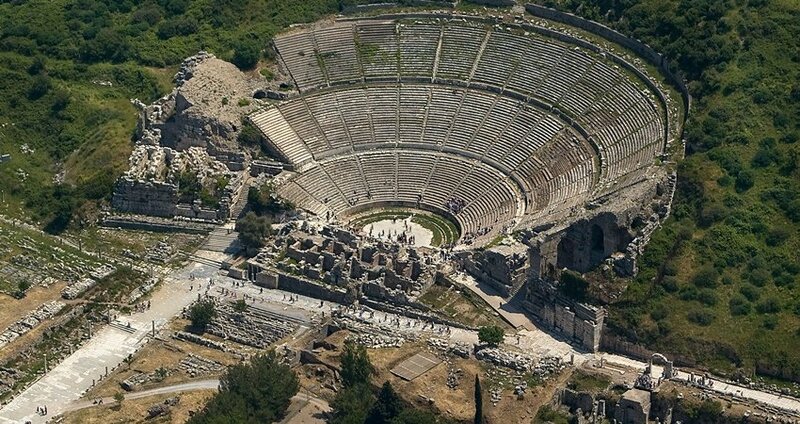 Book your Ephesus tour now and be a part of this unique journey through the history of the ancient world. 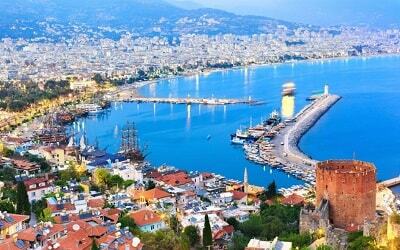 Our escapade starts with a cozy drive from your accommodation in Marmaris, interrupted only by a pleasant short break in Mugla, where we will have a delightful open buffet breakfast at the charming little local restaurant. 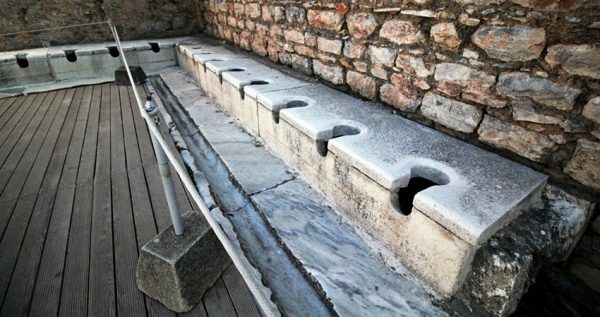 After a delicious meal, we will continue our trip to the glorious ancient city of Ephesus. While we travel, our professional English speaking guide will inform you about the program of our upcoming visits. One of our first stops will be a visit to the lovely little town of Selchuk. This wonderful town is famous for its delight factory where you can get prepared for Ephesus, use the restrooms and taste some traditional Turkish sweet. Upon our arrival to Selcuk, we will visit the remains of the magnificent Artemis Temple, which was built to honor one of the highest of all Greek deities, Artemis, the goddess of chastity, virginity, hunt, moon, and nature. 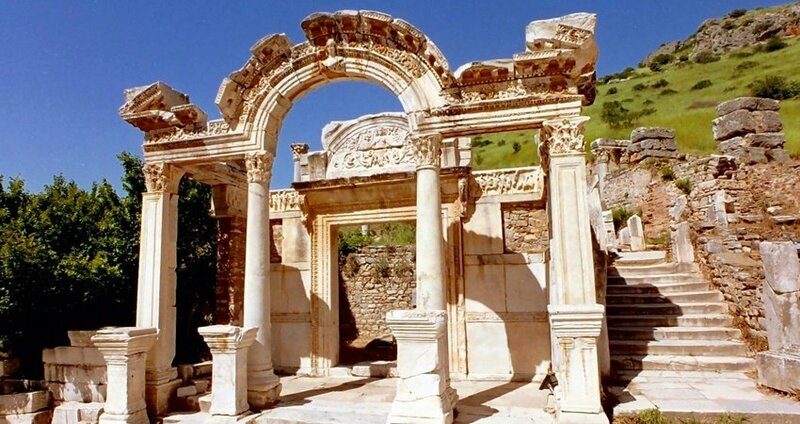 This astounding temple is considered one of the seven wonders of the ancient world. During our Marmaris Ephesus Tour you will have the opportunity to visit House of Virgin Mary, which is believed to be the last residence of the Blessed Virgin Mary. 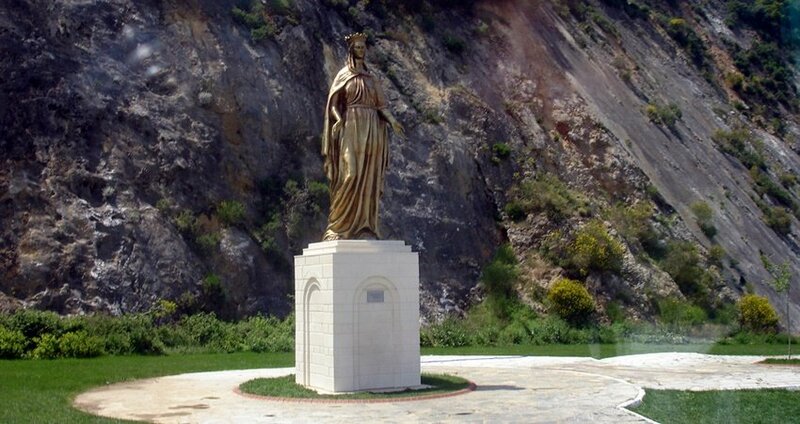 It is written in some historical documents that St. John brought Virgin Mary to Ephesus after the death of Christ. There was a small house built for her on Bulbuldagi Mountain. 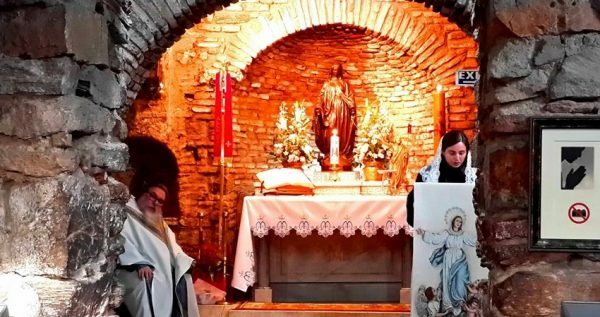 Because of all this, the Pope declared The House of Virgin Mary as one of the centers of Christian pilgrimage. 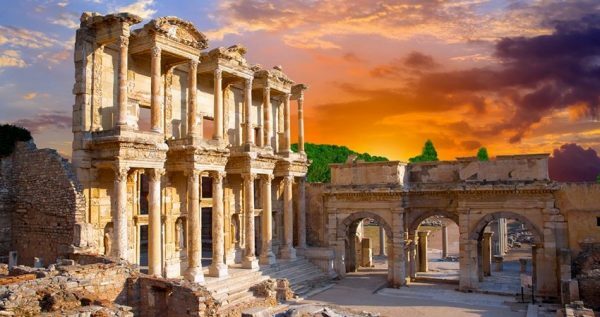 Fringed with some of the most impressive ruins of the ancient world, Ephesus looks almost otherworldly. 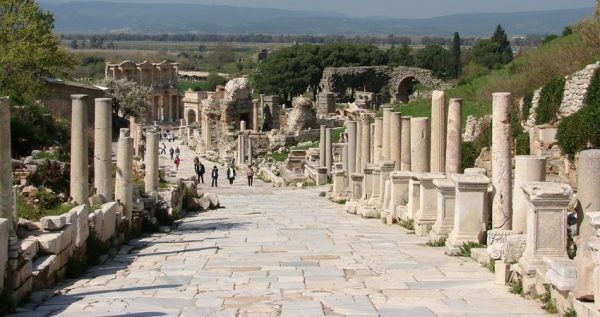 Its map includes the The Odeon, State Agora, The Prytaneion, Domitian Square, Hercules Gate, The Fountain of Trajan, Temple of Hadrian, walk through the Curetes Street, Celsius Library, The Gymnasium, The Grand Theatre, The Arcadian Way, and much more. 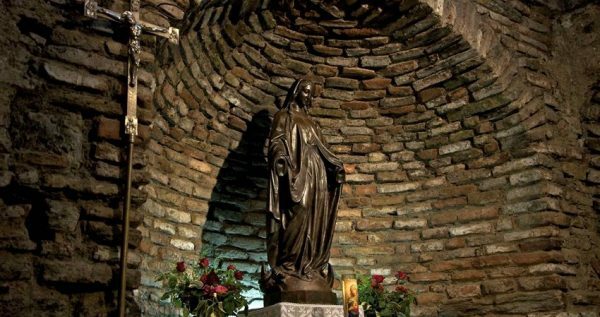 These monuments are all well preserved, and they remain a beacon of Christianity. 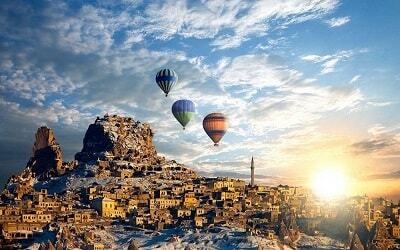 If you like historical sites then a visit to Pamukkale can be also interesting for you. 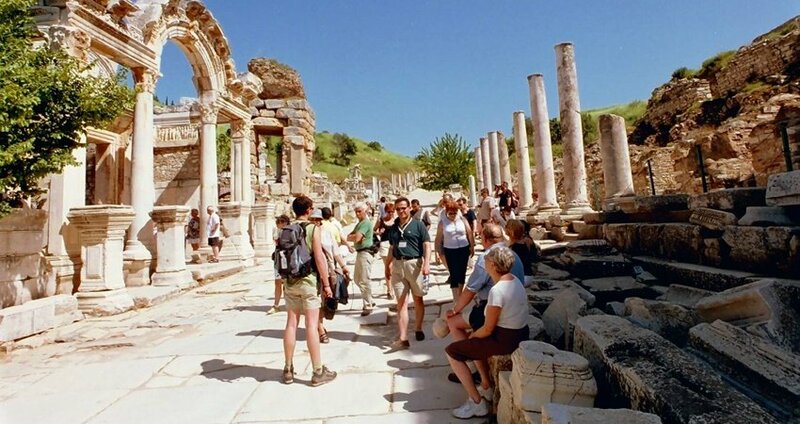 Marmaris Ephesus Tour starts early in the morning, and because of that, we have arranged a delicious breakfast in a charming local restaurant in Mugla. You will also get a refreshing drink or a cup of tea or coffee. Breakfast is included in the tour price. After breakfast, we will continue our trip to Ephesus. You don’t have to worry about the ride being uncomfortable, because all of our busses are cozy and spacious, and they all have air-conditioning systems. You will also be able to have some refreshments during the trip. Once our lengthy but comfy trip is over, we can start our wonderful visit to the ancient city of Ephesus. 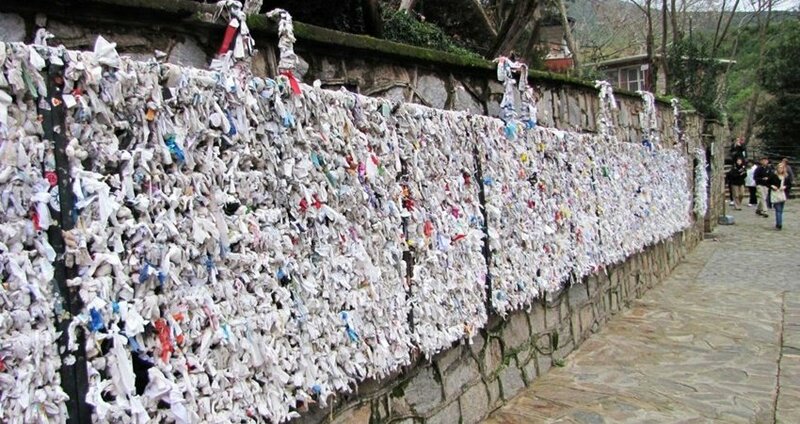 The visit will last for about two hours, during which you will get to take a walk through the past of one of the greatest ancient civilizations known to mankind. 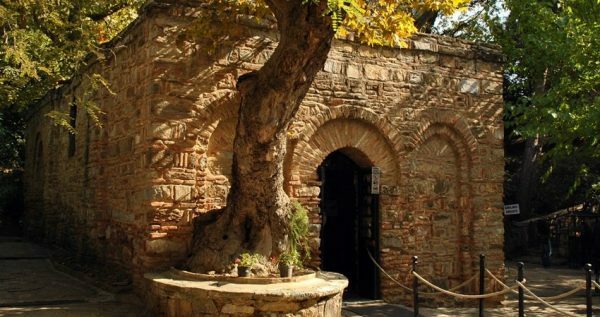 Our guides will tell you numerous stories and legend, as well as some captivating historical facts, as you take a stroll through the well-preserved remains of this great ancient city. Once our visit to Ephesus is over, we will have an open buffet lunch in a fancy restaurant nearby. 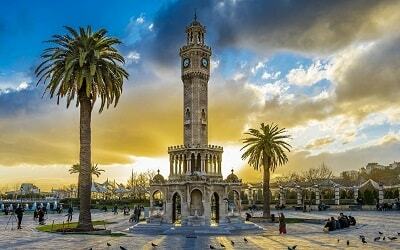 Once our lunch break is over, you will get some free time in the charming town of Selcuk. During that time, you can relax and have a drink at a local cafeteria, or explore other historical sites, such as: Museums, The Temple of Artemis or The House of Virgin Mary. Our guide will give you detailed information about these unique sites, but ultimately the choice is yours. We expect to be in Marmaris at approximately 19:00. We will drop you off in front of your hotel so you can rest and unwind.